Need legal assistance? Talk to the lawyers at Soll & Company. Get legal services for family law issues such as litigation, mediation, and agreements. Our lawyers can assist with Estate Plans, Wills, Powers of Attorney, and more. We’re experienced at defending criminal cases at the Provincial or Supreme Court levels. Navigating the legal system can be stressful and overwhelming. Hiring a lawyer in Kamloops can help you relieve this stress. When you need expert help and assistance, turn to Soll and Company. Our Kamloops lawyers bring more than 40 years of experience to the practice of law and will work with you to resolve your legal issues. The lawyers at Soll and Company have practiced at all court levels in British Columbia and can help you resolve your legal problems. In addition to assisting clients in the courtroom, our Kamloops lawyers are certified Family Law Mediators skilled at assisting families in resolving their issues out of court. 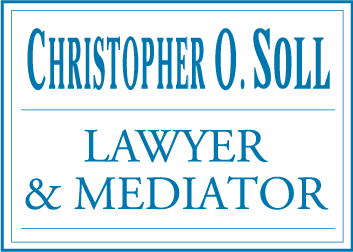 You will benefit from our experience when you rely on Soll & Company for legal advice and assistance. Your family is the most important part of your life. 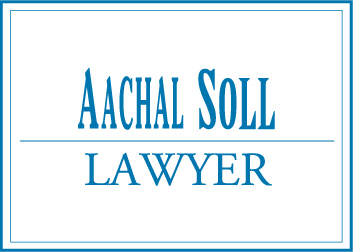 At Soll and Company, our lawyers in Kamloops can help you with all FAMILY LAW legal issues, such as divorce, division of property, child custody and access, guardianship, child and spousal support and adoptions. We are experts in family law LITIGATION, which means we can guide you through the complicated judicial system and represent you in court. 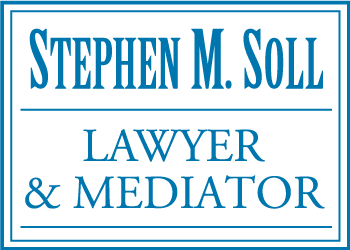 Our lawyers are also mediators, offering family MEDIATION services to help you resolve your family issues without going to court. We draft formal written prenuptial or separation AGREEMENTS for couples at the beginning or at the end of their relationship. We also offer COLLABORATIVE solutions for separation and divorce that allow you to resolve disputes respectfully outside of court. Dealing with family law issues can be very emotionally challenging. You'll benefit from our extensive experience in the British Columbia court system as we navigate your unique situation. If you are facing CRIMINAL CHARGES, remember that you are innocent until proven guilty. You should not discuss your case with anyone, particularly the police, until you have informed legal advice. No matter the charge, a Kamloops lawyer, like those at Soll and Company, can support you and defend your rights throughout the trial process. We provide counsel for criminal offenses at the Provincial Court, Supreme Court and Court of Appeal levels. It's never too early to start planning for your future. Our lawyers can help you prepare an ESTATE PLAN so that you will be cared for in the event of your incapacity and so that your property will be distributed in accordance with your wishes upon your death. We can also offer assistance if a loved one has passed away. We can navigate the complicated process of probating and administering an estate. 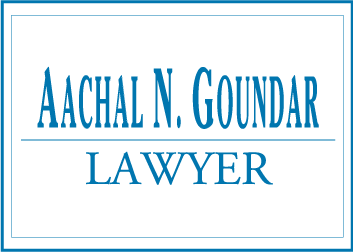 We can assist with challenges to an Estate Plan if negotiation or litigation is required. Working with an experienced Kamloops lawyer can help reduce your stress and resolve your issues quickly and efficiently. Our lawyers are all members in good standing of the Law Society of British Columbia and have more than 40 years of experience. Call us and let us take steps to resolve your legal issues.